It is also called as thyroid dermopathy. It is characterised by localised skin lesions in the pretibial region. This is due to the deposition of hyaluronic acid in the dermis. 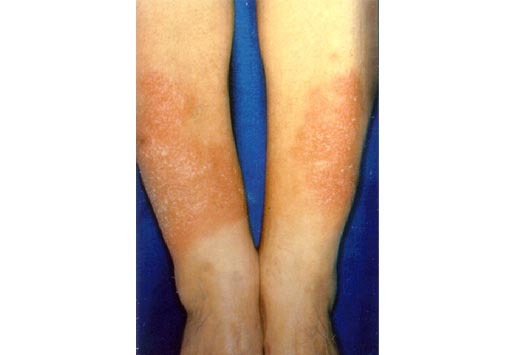 Lesions are usually asymmetrical, bilateral, firm and non-pitting type of edema.